The Baynes Sound Connector is the first cable ferry introduced into BC Ferries’ fleet. With a crossing of approximately 1,900 metres, this cable ferry will be the longest one in the world. 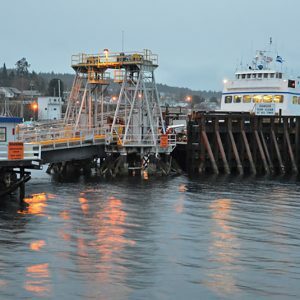 The new cable ferry will hold the same level of service standards as the current self-propelled vessels in the BC Ferries fleet; however, with no propellers and three times the fuel efficiency as conventional ferries, a cable ferry is a much more sustainable form of marine transportation. 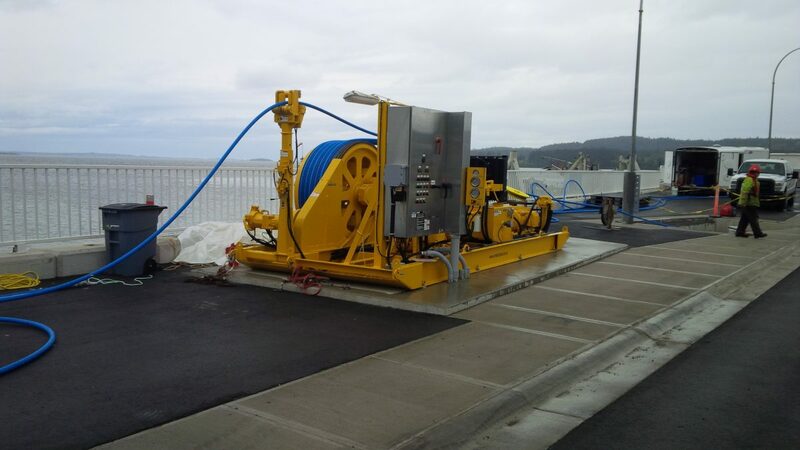 AFC Construction provided a prefabricated structure for the new cable ferry tensioner. Work was completed while the terminal was fully operational – neither operations nor BC Ferry patrons were adversely impacted. The cable ferry will operate with one ‘drive’ cable and two ‘guide’ cables. In the unlikely event a problem occurs with the drive mechanism or one of the cables, the ferry is designed to have a tug tow the ferry to the nearest terminal and unload its passengers and vehicles.